Universal Display Corporation and Visionox Technology, Inc. announced the signing of a new OLED Technology License Agreement and Supplemental Material Purchase Agreement. Under the agreements, UDC will supply phosphorescent OLED materials to Visionox Technology for use in its products through its wholly owned subsidiary UDC Ireland Limited. Details and financial terms of the agreements have not been disclosed. 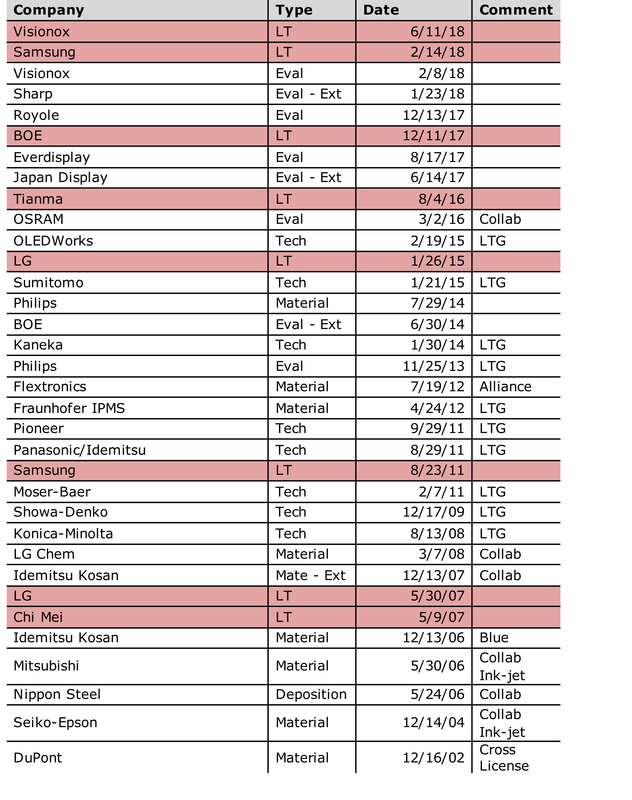 UDC now has 35 Agreements with firms involved in OLEDs, 8 of which are long terms for the production of OLED displays.